Product #17564 | SKU WLC-T02 | 0.0 (no ratings yet) Thanks for your rating! The new Tiltamax Wireless Lens Control System can achieve real-time auto focus and it’s the perfect accompaniment for the Movi and other traditional stabilisers. 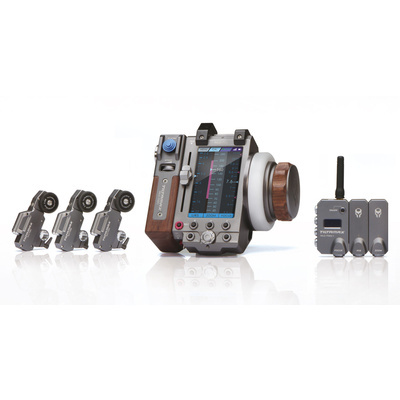 It features a unique modular design to allow users to have a personalised follow focus system. The controller, receivers and motors can be re-modeled to fit different shooting situations. The system can not only be used on traditional tripods or cranes, but will also work perfectly with any handheld gimbal system or stabiliser. The motors are Swiss made, MAXON high speed brushless motors, which offer high performance and low noise. Can be wirelessly connected to a Smartphone or other control equipment.